In small bowl, combine dressing ingredients; mix well. In medium bowl, combine all salad ingredients; toss well. Spoon salad onto 2 individual plates. Drizzle with dressing. 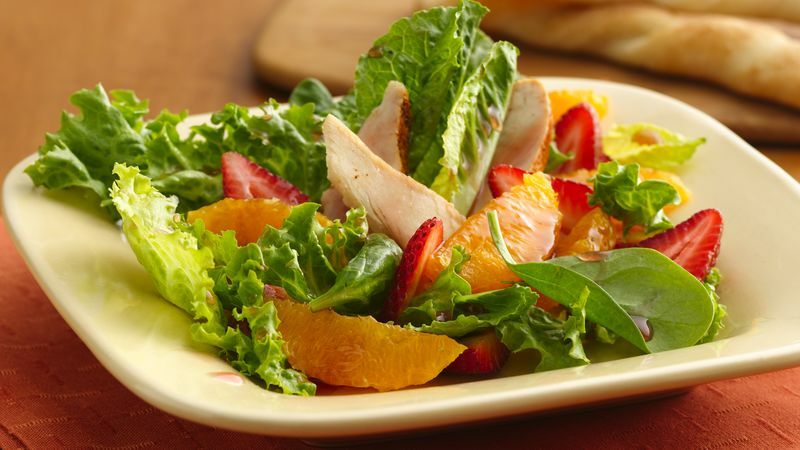 * If desired, 4 cups prepackaged mixed salad greens can be substituted for the spinach and lettuce.